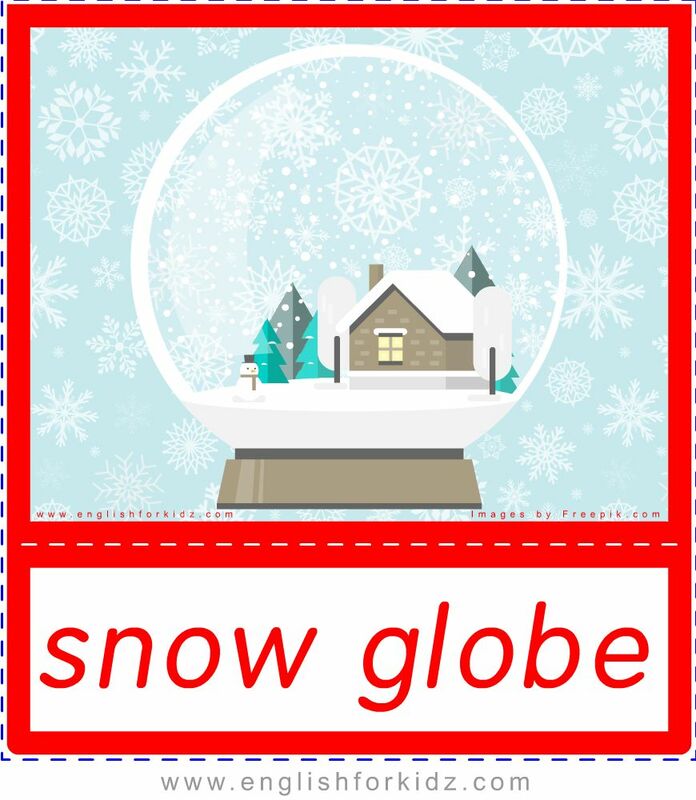 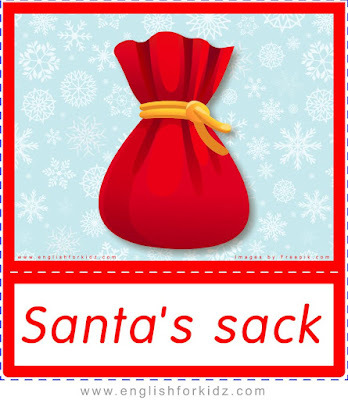 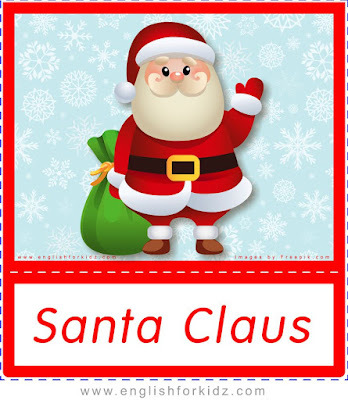 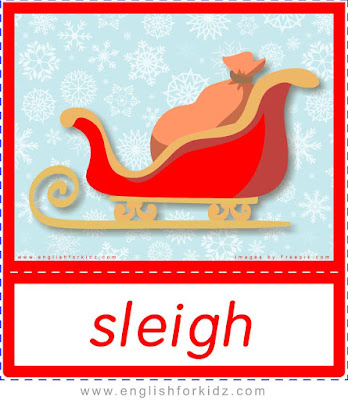 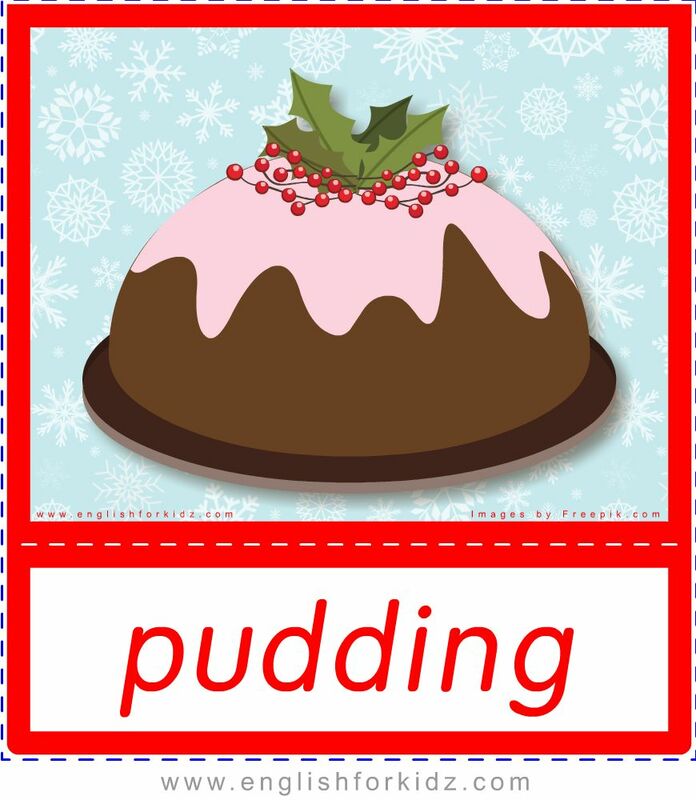 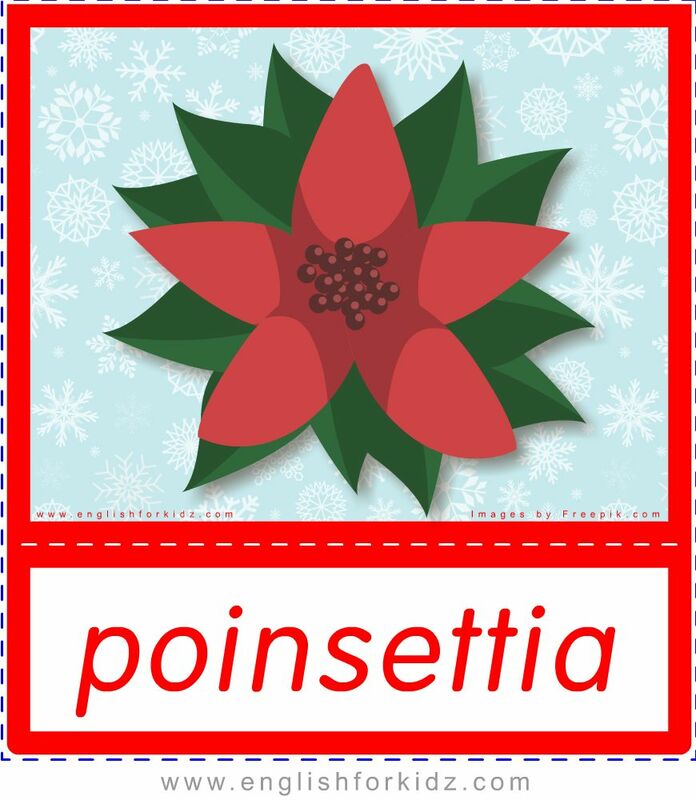 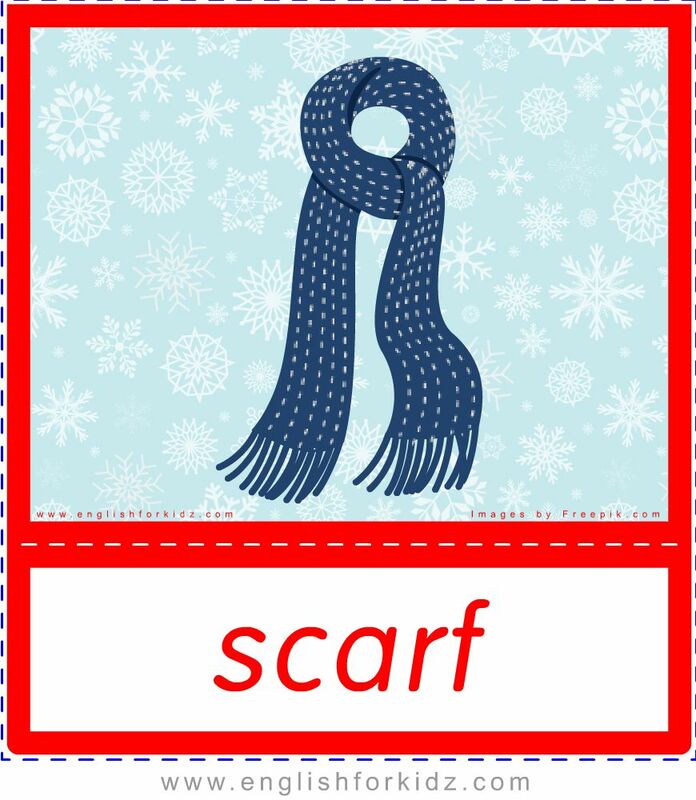 Here is another bunch of printable Christmas flashcards designed by me for ESL teachers to introduce the holiday-related vocabulary. 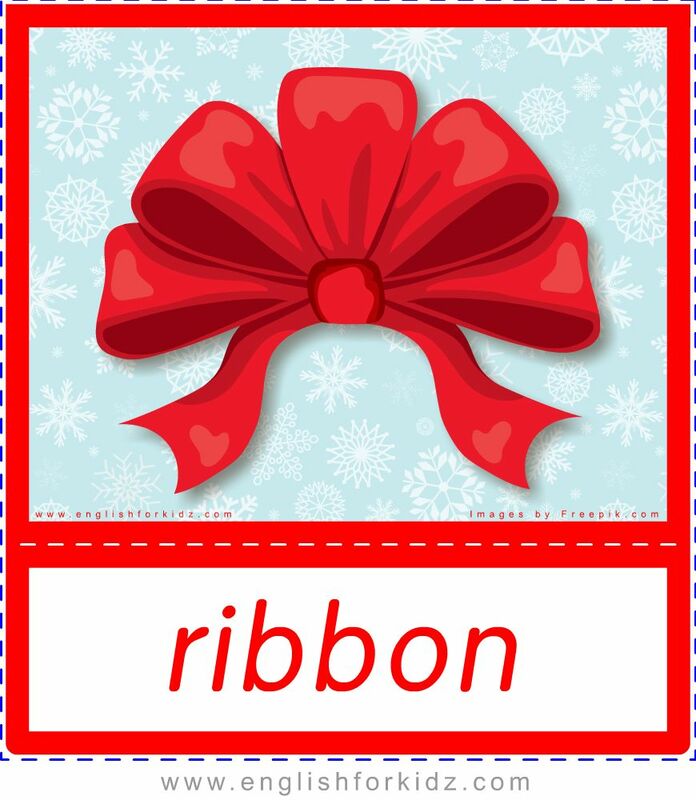 Educators can use this set of Christmas flashcards as a visual resource to help students start learning about the holiday, its traditions, seasonal food and clothing. Then kids can carry out some tasks of Christmas worksheets I designed for my ESL Christmas kit. 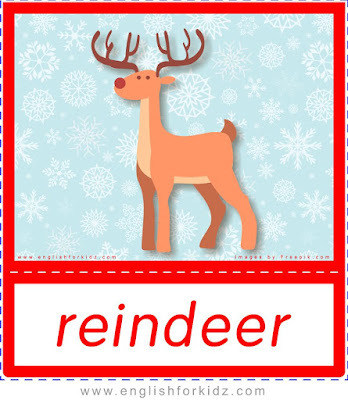 Those tasks include crosswords and word search puzzles, word-to-picture and picture-to-word matching. 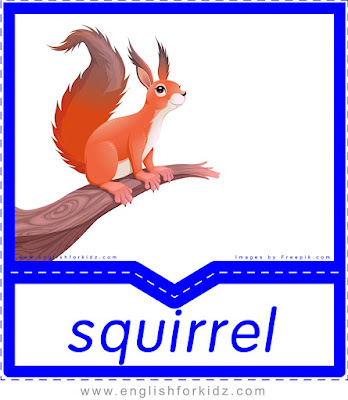 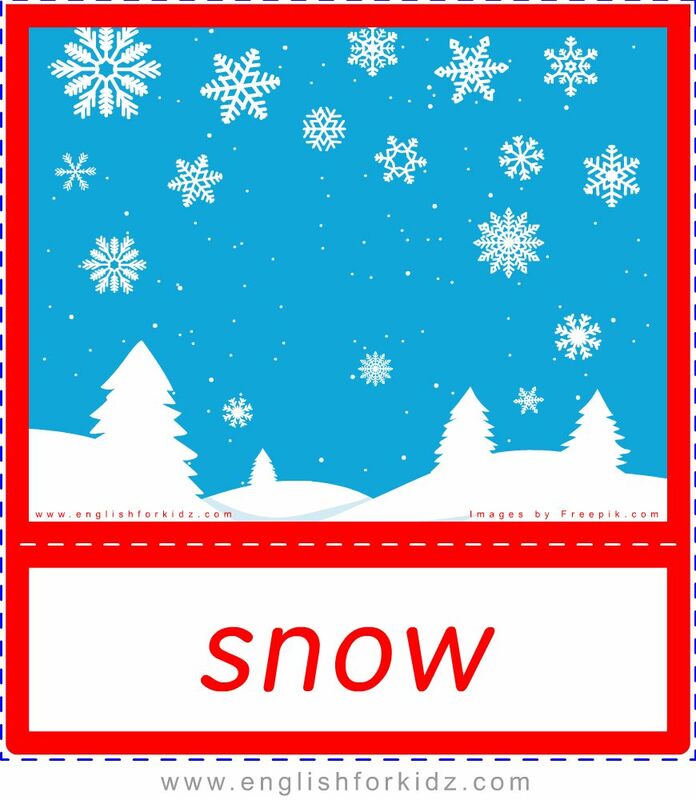 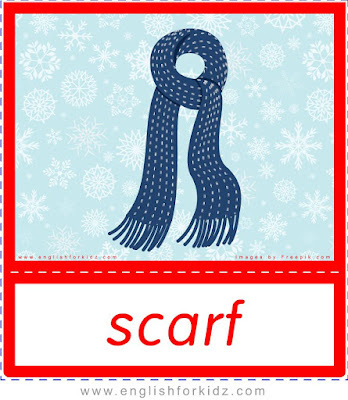 Those worksheets are based on the words featured on this Christmas flashcards set. The final step to consolidate the relevant English vocabulary is playing my Christmas games: dominoes and bingo.